Is your garden old fashioned or trendy? Gardening has evolved over the past six decades and eras of fashionable plants have come and gone. We take a look back at the highlights...of where gardening has come from and where it is going. 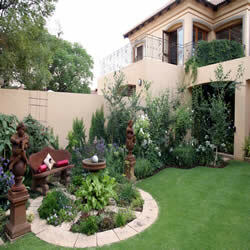 Gardening as a leisure time hobby in South Africa took off in the late 1940s with the development of suburbs. As in Europe, Australia and North America, the 1940s and 1950s saw an unprecedented construction boom in family homes, shopping centres and schools. As car ownership rose and public transport routes penetrated deep into suburbia, the tree-lined garden suburb flourished as a desirable symbol in South African life. The influence of Europe was unmistakable in the 1950s. A wave of newly qualified Dutch, British and German horticulturists arrived from war torn Europe and gardens resembled ‘little England in the veld’. 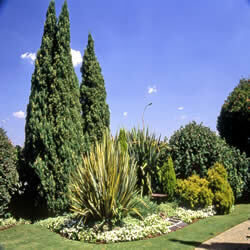 Sloping sites were transformed into a series of English garden terraces, hedges defined boundaries and veld-style indigenous plants were mostly removed. 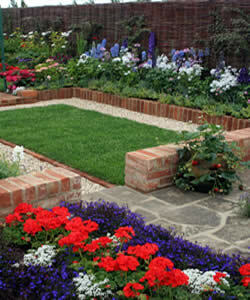 Large gardens were planted up with trees, shrubs, colourful herbaceous borders, a rose garden and swathes of green lawn. "Every garden had a rose garden and the new hybrid tea rose ‘Peace’, released at the end of World War II, was a favourite," reminisces South Africa's 'Mr Roses', rose grower, Ludwig Taschner. In the back garden were a fruit orchard, vegetable patch and compost heap. By the late 1950s, a slasto path was laid from the gate to the front door, and a table and chairs rested on a circle of slasto under the shade of one of the trees. The very wealthy installed rectangular swimming pools far away from the house and fish ponds were very rare. Plant nurseries were established in the backyard of enthusiastic and knowledgeable gardeners, but many gardeners bought trees from the municipal nurseries set up to line the streets with trees. "Gardeners ordered their fruit trees, roses, dahlias and bulbs from the relevant stands in the flower hall at the Rand Easter Show," recalls Ludwig Taschner. "These were forwarded by mail or rail later in the year. Annual bedding plants were mostly offered as bundles wrapped in newspaper by door-to-door vendors and bare root roses were posted." It was in this era that two passionate gardeners – Una van der Spuy in the Cape and Sima Eliovson in the then Transvaal – produced best selling books on gardening that were to influence a generation. North-facing American-derived ranch-style homes were the big fashion of the 1960s. Californian landscaper Thomas Church promoted the concept that the garden was a living space extension of the house and architects now designed homes with large windows and big verandas. The era of patio gardening had arrived. 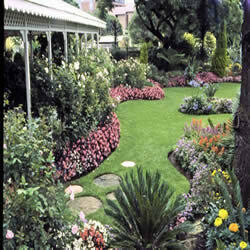 The 1960s were also defined by informal garden design. Natural-looking rockeries replaced formal terraces and curves in flowing lines dominated perimeter borders and kidney-shaped island beds. Most gardeners still filled borders and rockeries with a fruit salad of colour, provided by flowering shrubs, roses, perennials, and seasonal annuals. "The first ever orange rose, ‘Superstar’, appeared in 1960, and gardeners were frantic to get hold of one," recalls Ludwig. "The roses, 'Papa Meilland' and 'Iceberg', arrived a few years later." The first F1 hybrid annuals were sold in small wooden boxes and black plastic plant bags replaced the traditional oil tins as plant containers in nurseries. Gardening on TV arrived in South Africa with Kristo Pienaar and Keith Kirsten following up their TV success with a range of books that popularised indigenous flora and landscaping. “Landscaping does not start with the planting of trees and shrubs, it starts with the planning of a garden to suit the owner’s needs,” Keith would say again and again. Supermarkets were a death knell to fruit tree sales, instant lawn became available, the Kreepy Krauly transformed swimming pools and the era of the garden service had arrived. 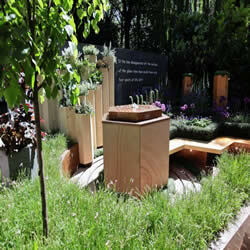 As labour costs grew, an interest in low maintenance gardens emerged. Evergreen conifers, birch trees underplanted with ivy, New Zealand flax and cordylines became icons of the 1970s garden. Roses were now sold in black plastic bags and could be planted anytime during the year. "The new cultivars 'Blue Moon', 'Double Delight' and 'Just Joey' were the roses of choice in the 1970s," says Ludwig. Indigenous enthusiast, Bea Thompson established Witkoppen Wild Flower Nursery, a specialist indigenous nursery for a small, but passionate clientele. "Situated on a large country plot in Fourways, the nursery was in the grasslands, 25km north of Johannesburg's city centre," recalls Malcolm Hepplewhite. A four-year drought in the early 80s had a big impact. Gardens filled with birch trees and ivy transformed into gardens filled with water wise conifers, palms, lavender and strelitzias. There was also a growing interest in herbs, fostered by physiotherapist Margaret Roberts, who wrote prolifically and knowledgably on the topic, and provided a huge range of herbs in her Herbal Centre near Pretoria. "The new David Austin English roses created a sensation amongst gardeners and became must-have objects of desire," recalls Ludwig. The townhouse and cluster home building boom took off. Swimming pools and built-in braais became part the patio. 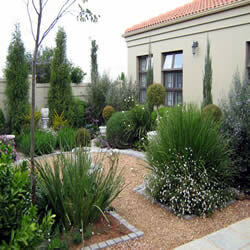 Growers responded by launching dwarf cultivars, topiary standards, baskets of colour and evergreen screening shrubs. Every plant had to fulfil a purpose rather than simply fill space in a garden. Plant nurseries evolved into garden centres that offered fertiliser, insecticides, seeds, benches, art for the garden and pruning equipment. “The 80s was the most dynamic decade for growth in the gardening industry,” says Cape Town horticultural consultant, Sandy Munro. "Everything one needed was readily available and by pure coincidence, the cocooning trend provided the motivation to create gorgeous small spaces. It was also in the late 80s that landscaping became an accredited profession," he recalls. The 1990s were full of gardening contradictions. On the one hand, newly arrived satellite TV gave gardeners access to gardening programmes from all over the world. Theme gardens – tropical, Japanese, Provençal – were popular and hundreds of architectural developments in the so-called Tuscan style were built. The result was a return to formal gardens, straight paths and flagstone paving, evergreen hedging and topiary plants. On the other hand, the indigenous movement was catapulted into the limelight by books written by Roy Trendler on gardening for wildlife and bird-friendly gardens. "The greatest happening ever in South Africa is the 1990s awareness and use of indigenous plant material in gardens and large landscape projects," says Sandy Munro. "This was vital for the preservation of our plant species, and became a forerunner of the biodiversity movement of the late 2000s," he adds. 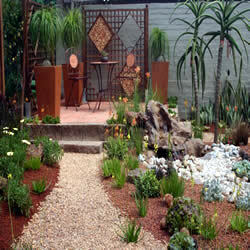 Droughts ensured that water wise gardening came of age in the mid 1990s, adding to the indigenous plant movement. Boundary fencing and walls replaced hedges, patio furniture and exotic containers arrived from the East, and easy-to-install water features launched a water gardening boom. Garden centres became venues for family outings, with tea gardens, children's play areas and mini zoos. The largest also had a host of satellite shops offering pool services, irrigation equipment, silk flowers, florist equipment, pet shops and outdoor furniture. They also held annual shows where landscapers created mini gardens in a variety of styles to which the gardening public flocked in their thousands. This last decade has been a period of radical rethinking. Beyond its decorative and relaxing characteristics, gardeners questioned the purpose of a garden. Sustainability, biodiversity and ecological gardening became buzzwords as gardeners strove to plant the indigenous flora needed by garden micro-fauna to survive. Inextricably linked to eco-gardening was the return to natural organic products. Garden centres became green community centres offering information on water wise alternatives for invasive alien plants and therapy gardening for the physically and mentally challenged. Issues of climate change and global warming brought on a boom in architectural succulent plants. Lawns were reduced in size and 'permeable paving' entered the vocabulary of garden design with gravel pathways making a big comeback. In another trend stream, Jamie Oliver's cooking revolution encouraged herb growers to diversify their range of edible plants as armchair foodies streamed into the kitchen to prepare international dishes. Colour, as always, remained important to gardeners, and a huge range of cultivars of low water usage indigenous flowers became available. "South African rose growers developed a selection of water smart roses and eco-chic disease-resistant roses such as the Fairy Tale, Antico Moderno and Panarosa range of roses," says Ludwig Taschner. Colour, beauty, scent, greenery and water will always be the foundations of gardening. Expect to hear more about carbon conscious gardening, gardening for biodiversity and ideas for firescaping a firewise garden to appear on the gardening agenda in the next decade.